You know more than anyone that good employees are hard to find. When an employee is a clear asset to the company you will do everything you can to keep them around, even when workplace addiction is present. 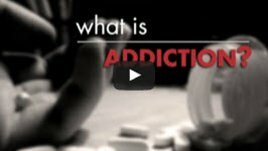 Unfortunately, addiction is a serious disease that does not discriminate and it affects all kinds of people from many walks of life. Approximately 8% of Australia’s population has had or currently has a drug or alcohol abuse problem, which equates to approximately 2 out of every 25 people – the chances that workplace addiction is affecting your company. Frequently calling in sick, especially when they cannot provide a doctor’s note, or seem perfectly fine the next day when they return to work. Showing up for work, especially after the weekend, extremely tired, irritable and/or moody. Regularly coming back from lunch slightly tipsy, resulting in boisterous or chatty behaviour which makes it difficult for others to get their work done. Changes in physical appearance, including showing up to work looking dirty or dishevelled, or wearing the same clothes to work two or more days in a row. Memory problems, clumsiness and/or an overall sluggishness often resulting in missed deadlines or tasks forgotten about completely. We know that quality employees are important to you. We also know that without treatment addicts will often end up missing deadlines and causing damage to your company until they end up getting fired, or they will be so overcome by their addiction that they quit their job or simply stop showing up. That is where we come in. Before an employee’s addiction in the workplace wreaks havoc on your company and you are forced to spend time and money recruiting, hiring and training someone new – we can help get your employee back on track. Part of The Cabin Addiction Services Group, a leading drug and alcohol treatment provider with a collection of inpatient and outpatient centres around the world, The Cabin Sydney is backed by highly-trained counsellors with years of hands-on experience and a comprehensive and effective treatment programme to handle workplace addiction. The Cabin Sydney is an outpatient addiction treatment centre designed specifically with the addicted professional, also known as a high-functioning addict, in mind. We offer flexible schedules including evening and weekend appointments so that our clients are able to maintain professional and personal obligations while still getting the treatment they need to recover from their addiction and once again lead productive, healthy and fulfilling lives. If you would like more information about our addiction treatment programme, or how to approach the subject of substance abuse and treatment with your employee, please contact us today. Confidentiality is of utmost importance at The Cabin, and we can assure you that your and your employee’s privacy will be respected.